January 19: “Cu Rua” (Great Grandfather Turtle), the sacred giant turtle in Hoan Kiem lake, dies just one day before the opening of the 12th Party Congress. Official state news media are requested to merely publish news and refrained from any kind of commentaries and analyses. Bloggers begin to think of a bad omen for the Communist Party. January 20: The 12th Party Congress begins. 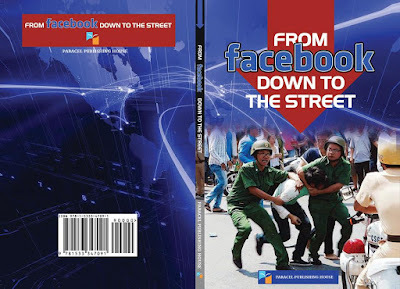 Before and during their meetings, many anonymous political blogs are created, providing exposure of the hidden workings of government officials, especially those believed to be partisans of Nguyen Phu Trong. The Congress demonstrates to the people that it is nothing but a battle field where communist leaders are fighting and murdering each other. The battle ends with Nguyen Tan Dung being brought down. Nguyen Phu Trong remains the highest Party leader. The only ruling party also designates Tran Dai Quang, Nguyen Xuan Phuc, and Nguyen Thi Kim Ngan as the next president, prime minister, and leader of the legislative body. February 6: “Van Dong Ung Cu Dai Bieu Quoc Hoi 2015” (To advocate running for the 2016 legislative election), a facebook page to support the independent candidates, is launched. The self-nomination campaign begins; so do state-sponsored campaigns to demean independent candidates. 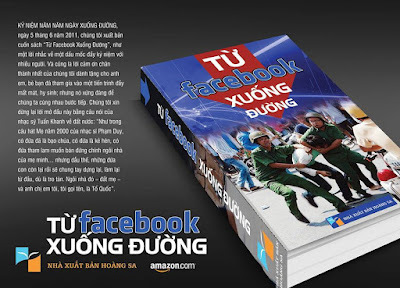 March 15: “Anh Ba Sam”, a clandestinely published book about the famous blogger in jail, is introduced on Amazon. Bilingual in Vietnamese and English, it is the first publication about a Vietnamese prisoner of conscience which provides an insight into his life and work and uncovers many due process violations in the case. 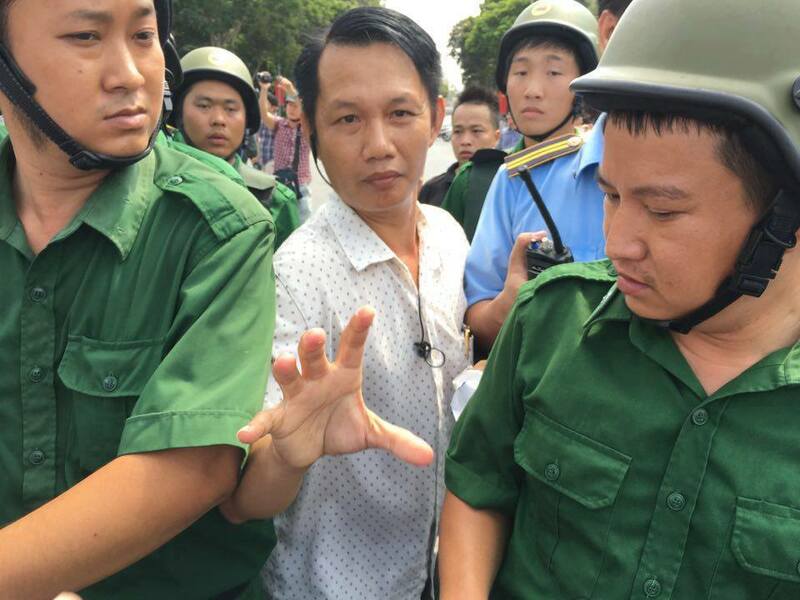 March 23: The trial session against blogger Ba Sam and his colleague Nguyen Thi Minh Thuy is held in Hanoi. Hundreds of their supporters gather outside the court and wave banners calling for their release. None is let in, including German MP Martin Patzelt and diplomats from embassies of Sweden, Norway, and the EU-Delegation. At the same time, the court room is filled with police and students from the Academy of Public Security. 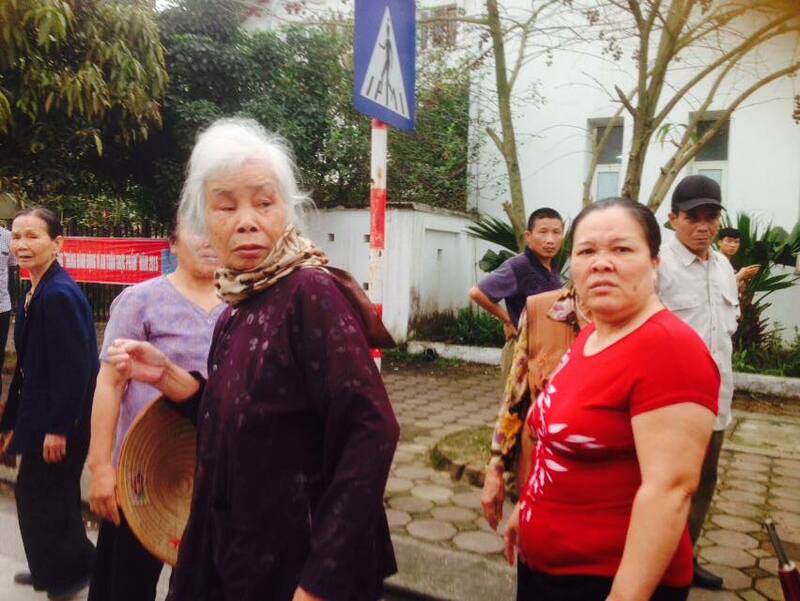 Though the prosecutors fail to prove the guilt of “abusing democratic freedoms to infringe upon the state’s interests”, the Hanoi People’s Court sentences Ba Sam to five years and Nguyen Thi Minh Thuy to three years in prison. 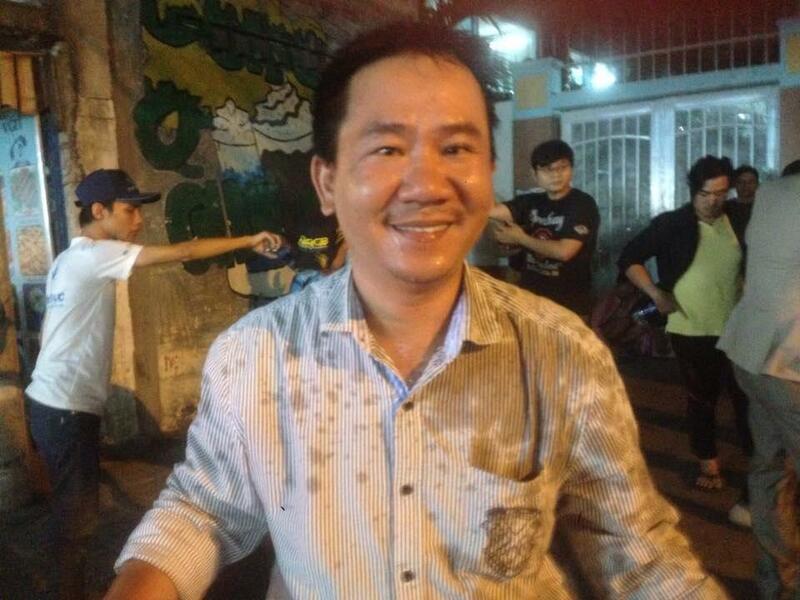 March 28: The so-called “outrageous mass” throw pungent shrimp sauce at supporters of Hoang Van Dung, who is the first independent candidate to be rejected in the vetting meeting procedure. He gets 4 favorable over 57 votes. April 4: While diving, Nguyen Xuan Thanh, 36, fisherman at Ba Dong village, Ky Anh district, Ha Tinh, comes across a huge drainage channel located deep in the sea. It comes from the project site of Formosa in Vung Ang industrial zone. Also from early April, tons of dead fish have washed up on hundreds of kilometers of coastline, from Ha Tinh to Quang Binh and Hue, after what is suspected to have been a mass discharge of toxic chemicals from an industrial plant owned by the Taiwanese conglomerate of Formosa. 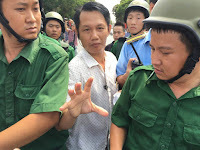 April 7: Nguyen Van Bac, 35, a police officer at the Trung Liet ward, Dong Da district in Hanoi, suddenly comes and asks for a search at an apartment in his area. On being refused, he spits in the face of Tran Phuong Linh, the young lady of the house, without knowing that he is being filmed. The video clip later spreads over social media networks. Police are reluctantly sent in the next day, and Bac denies that he has spat. However, under the pressure of the Internet community, on April 11, Bac forcibly apologies to Tran Phuong Linh. He is by no means punished, anyway. April 9: Dr. Nguyen Quang A is overwhelmingly rejected for “not attending regular residents’ meetings in his unit” and “making no contribution to the nation.” He gets 7 consenting votes over the total of 75. 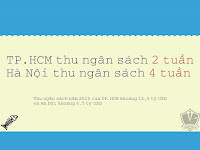 Previously he has received more than 5000 signatures from assenters across Vietnam. At the same time, Dr. Nguyen Xuan Dien wins 6 out of 66 votes in his meeting with local constituents. Another meeting with his organization has been held the day before, when it takes the vote counting team thirty minutes to count only 58 votes. 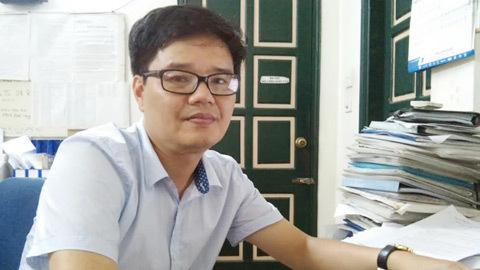 Do Viet Khoa, a teacher famous for his efforts to fight corruption in the education system, is rejected when his colleagues say they simply don’t want him to stand for the legislative election. 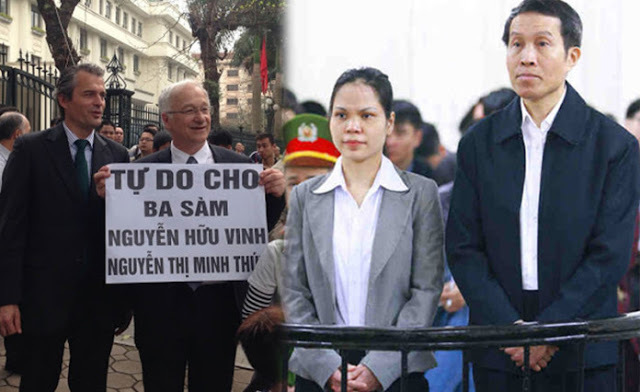 Halfway through the local vetting meetings against them, Nguyen Thuy Hanh, Nguyen Tuong Thuy and Pham Chi Thanh declare their decision to boycott the humiliating procedure. April 10: The vetting meeting against teacher Do Viet Khoa, held in his residency, is held with half of the attendants being plainclothes policemen sent from elsewhere. The organizer says filming or recording is strictly banned. The head of his residential unit accuses him of “letting his dog foul a neighbor’s garden.” He still receives 13 consenting votes from his real neighbors, however, over 75 votes, before being rejected. For further information regarding the election to the 14th National Assembly and People's Councils term 2016-2012, see report "Unfair Elections in Vietnam". Independent candidates Dang Bich Phuong and Nguyen Thuy Hanh. April 14: A policeman in Sai Gon, Luong Viet Ha, beats up and badly injures a street vendor, Pham Thien Minh Phong. 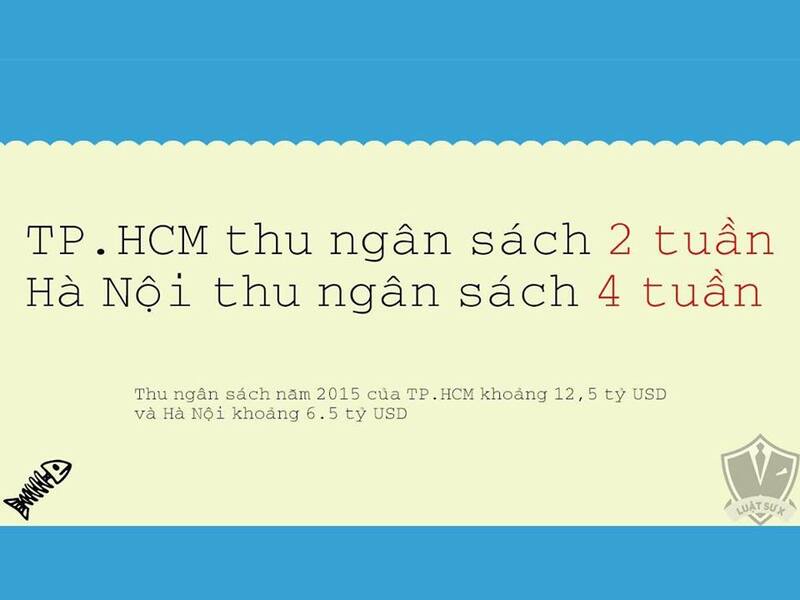 The reason is that Phong has refused to contribute a monthly sum of 700,000 VND (appr. US$30) to him as do other street vendors. April 21: People in the coastal province of Quang Tri say they have collected about 30 tons of dead fish, the Thanh Nien daily reports. April 22: Amid the dead fish crisis which appears to be the biggest environmental disaster in Vietnam in decades, Party boss Nguyen Phu Trong goes to Vung Ang to visit Formosa and check its project schedule. He does not speak a word about the disaster or meet any local citizen. April 25: Chou Chun Fan, a communication officer at Formosa headquarters in Hanoi, tells the press that Vietnam can only choose between steel plants and fish/ marine products. The statement infuriates Vietnamese net citizens. 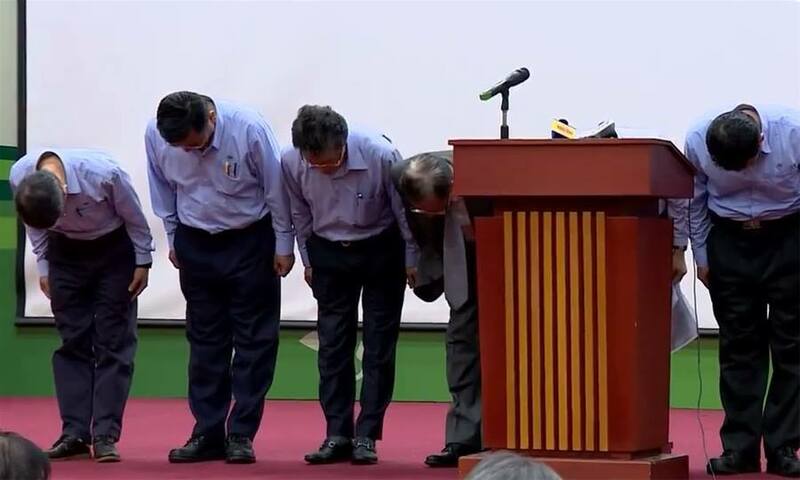 The next day, Chou Chun Fan and other leaders of Formosa conduct a press conference in Ha Tinh where he bows to the audience to apologize. On April 27, he confirms that he has been dismissed and shall come back to Taiwan. 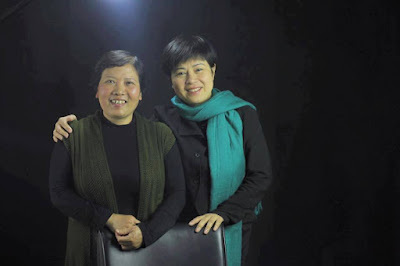 Son and Tam are released after a few days, which is astonishing as this is the first time activists are released after having been gravely defamed by the state media. May 8: Protests continue in Hanoi, Saigon, Nha Trang, Vung Tau, and are brutally suppressed by security forces. It seems all fresh activists and women with children are favorite targets of security officers, civic order defenders and other forces whose responsibility are unaccountable. Hoang My Uyen, a young woman, owner of a celebrities’ café in Saigon, is blew up and kicked on her face while she was still carrying her little daughter. Her photo, with scratches on the face, hugging her child in panic, provokes public indignation on the Internet. At the same time, pro-regime facebookers try to blame the victim, saying Uyen deserves punishment for taking her little child to a demonstration. For further information regarding the environmental disaster caused by Formosa, see the report “An Overview of the Marine Life Disaster in Vietnam” by Green Trees. May 23: US President Barack Obama visits Vietnam with a plan to meet civil society leaders on May 24. However, 9 out of 15 seats are found empty in the end. Independent activists and government critics are blocked from meeting him. 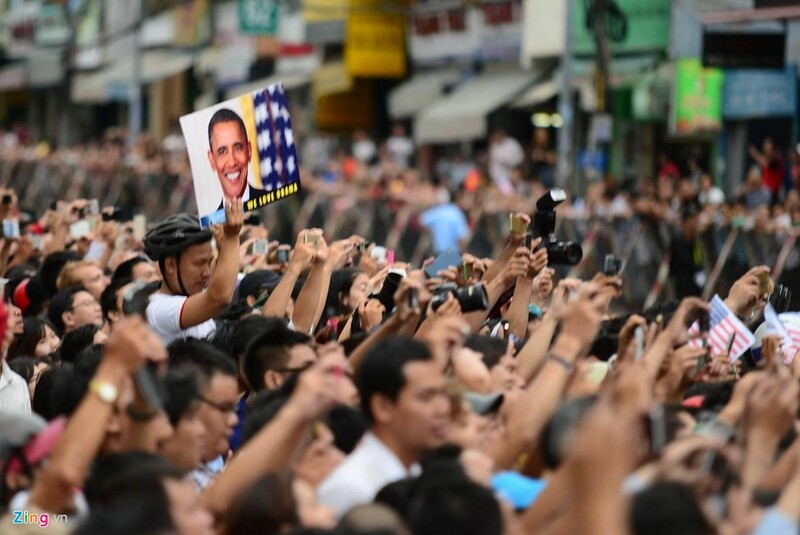 In Sai Gon, thousands block the street to wave hello to the US President. Just six months before that, it was the same crowd to take to the street in fierce protests against Chinese leader Xi Jinping when Xi visited Vietnam at the invitation of his Vietnamese communist comrades. 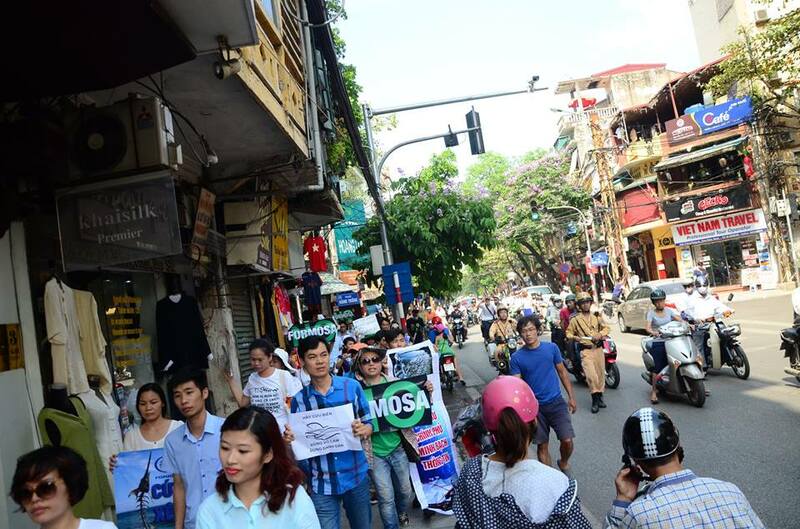 June 5: Green Trees organizes a protest rally in Hanoi to call for environmental protection and government accountability in the marine disaster. 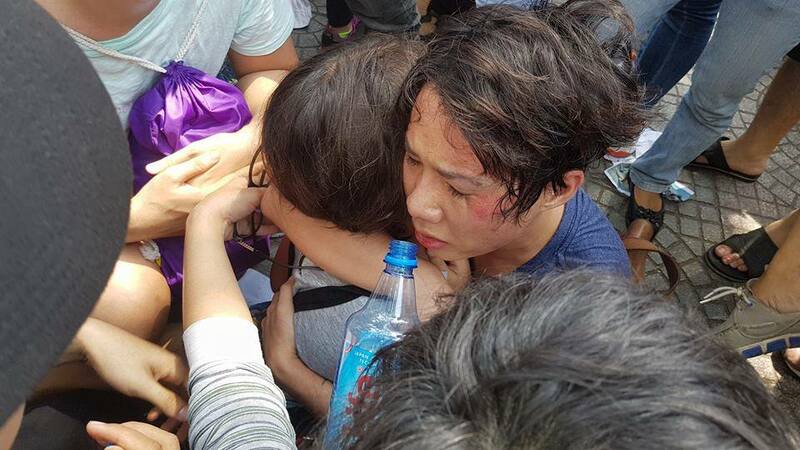 The rally is quickly stamped down by security forces, who take all the protesters to police stations and brutally assault pro-democracy facebooker Pham Nam Hai. The Vietnamese samizdat movement marks one more censored publication, "From Facebook down to the Street", a book to celebrate the 5th anniversary of the civil society movement in Vietnam, which emerged in the 2011 anti-China protests. police-owned An ninh Thu Do. 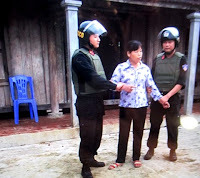 June 10: Well-equipped police surround the house of Mrs. Can Thi Theu, the resistant farmer and leader of Duong Noi land movement, since early in the morning when her family is still sleeping. They place her under arrest for “disrupting peace”, for she used to attend a rally on April 8 to celebrate the 10th anniversary of Bloc 8406. June 14: A Su-30MK2 aircraft, coded 8585, goes missing in a training session with Senior Lieutenant Colonel Tran Quang Khai (43) and Major Nguyen Huu Cuong (39) aboard. Cuong survives while the body of Khai is found a few days later. June 16: The Casa-212 aircraft, coded 8983, begins its search mission for Khai and the Su-30. However, it crashed soon later, killing the whole nine-member crew. According to the VnExpress, search missions for the two missing aircrafts mobilized up to 2,700 military staffs from a variety of forces. More than 250 vehicles were deployed, including at least 14 aircrafts, 183 boats, etc. Despite these abundant resources, it is only local fishers who find the ill-fated pilots. June 17: Journalist Mai Phan Loi, admin of the Young Journalists Forum, creates an online poll canvassing opinions as to why the Casa-212 aircraft crashes “to be blown”. He does not expect to be punished: Almost immediately, most members of the forum who themselves are journalists accuse him of “unethical conduct” for using the word “to be blown”. Comments on the forum at night and on the next day of June 18 – suggesting that the aircraft had exploded into pieces, and that corruption in the defense industries could explain poor safety standards – lead to a furious backlash in state-controlled media, including major agencies like Petro Times, the Herald, Vietnam Television (VTV), etc. He issues an apology for any offence caused by the online survey, but that does not appease the anger of officials who have accused him of offending the honor of the military and damaging the reputation of journalists. Eventually he is dismissed and has his press card revoked. Loi is the founder of MEC, a registered NGO that represents journalists and other media workers. He is also one of the six civil society activists allowed to meet President Obama during his visit in May. June 30: At 5pm, the government holds a press conference to proclaim the cause of fish death: It is exactly the Hung Nghiep Formosa Steel Co., Ltd. (FHS) that is the perpetrator. Chen Yuan Cheng, chairman of the company, bows to apologize and pledges to pay 11,500 billion dong (approximately USD $500) as compensation.